From 93: Take Exit 42/Dascomb Road, Tewksbury. If coming off 93 North, take left onto Dascomb Road; if coming off 93 South, take left at end of ramp, then right onto Dascomb Road. 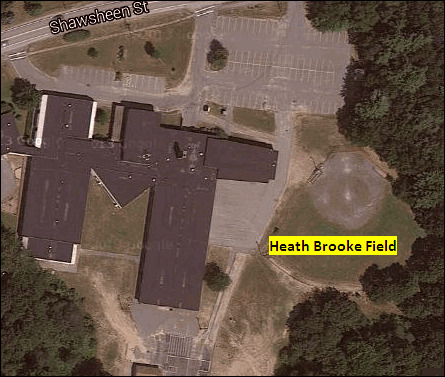 (Dascomb becomes East Street in Tewksbury). Follow East Street until you come to an open area. (white house on right, stone wall on left.) Take left onto Livingston Street. Fields are down on Livingston. 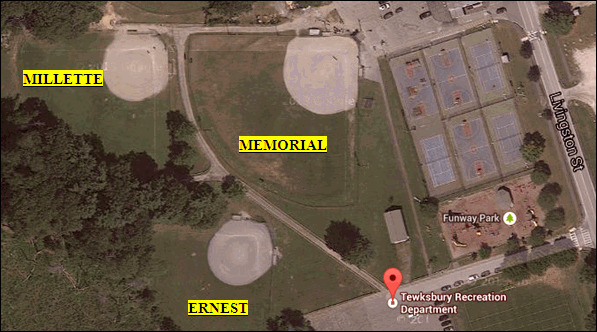 Ernest Field is located behind the Saunders Recreation Center closest to Funway Playground, 286 Livingston Street Tewksbury MA 01876. From 495: Take Exit 38/Route 38. Take a left onto Route 38 (Main Street) Follow Rte. 38. 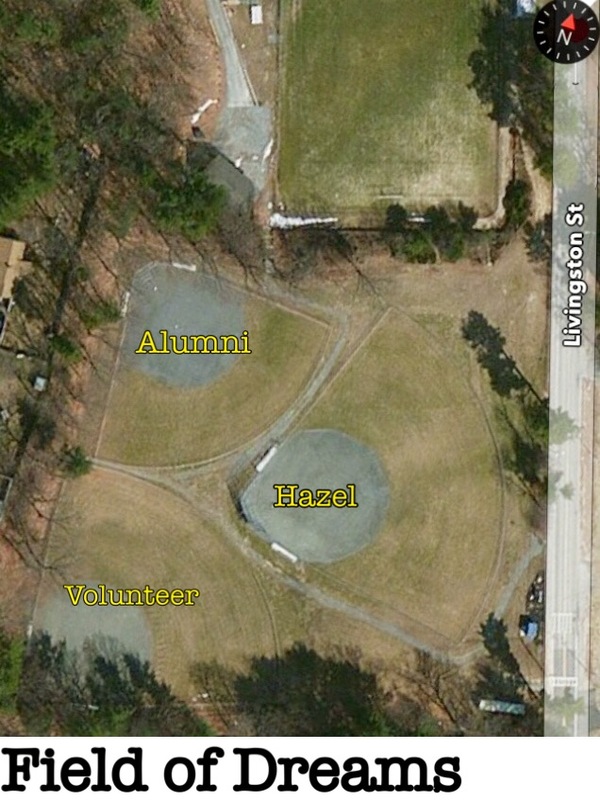 When you see Piccadilly Pub on right and Massbank and Citgo Gas Station on left, take next left onto Livingston Street. Fields are down on Livingston.